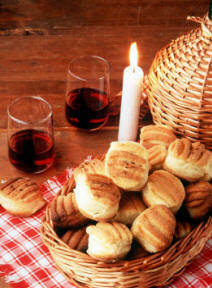 HOMEMADE - Hungarian Style Biscuits "Pogacsa "
Made with real potatoes. These delicious Hungarian biscuits are a Hungarian Favorite. Very flaky and mouth watering. Specially made for Otto's. These delicious pogacsa contain the real töpörtyüs pork bits. A real Hungarian Favorite. Pogácsa are a type of savory scone / biscuit that is common in Hungary. They are made out of pastry and traditionally covered with small thin strips of pork with a slight hint of paprika. Pogácsas are typically 6-10cm in diameter and range in size from the smaller, crispier scones through to the larger fluffier versions. They are commonly eaten alone as a snack, with wine, or with a stew -- such as goulash. 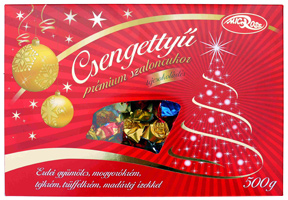 [ ] 9 Pieces Pogácsa Package $ 17.95 ea. Our own imported fresh-ground walnuts or poppyseeds are wrapped in a light dough. Watch these fine ingredients melt-in-your-mouth. Made with the tasty mixtures of country-churned butter, fresh laid eggs, flour, honey and delicious raisins. When refrigerated, this extraordinary golden brown goodness will stay fresh indefinitely. Great for everyday or special events! 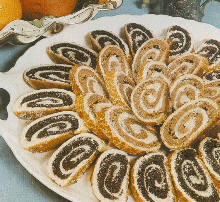 Poppy seed Kifli (Kipfel) or Walnut are filled crescents with a delicious natural filling -- a Viennese-Hungarian classic. Freshly baked and filled with tangy walnuts or poppy seed with a breath of cinnamon. These are great for enhancing coffee and sparking great conversation. Light as a sugar-spun cloud, which many of our customers call these delights - "heavenly morsels." This is the genuine Hungarian-style Chestnut Puree is prepared in Switzerland's Alps. This chestnut puree is pure and indescribably delicious. It is made with a slight touch vanilla to add an incredible flavor. Serve it out of the tin or use the puree in a variety of great European recipes. Suitable for all kinds of continental pastries. Pass the Chestnut Puree through a ricer (available through Otto's) to make it fluffy. Sprinkle lightly with Rum. Top with whipped cream, chill and serve. Serves 6 to 8 servings. A super easy Hungarian and European dessert! Pass the Chestnut Puree through a ricer or vercelli press to make this puree fluffy dessert. Top or layer with whipped cream, chill, and then serve. Voila! -- A fabulous dessert! Serves 4 to 6 servings. Chestnut Puree Cans can be saved after opening by freezing. Pay 11 for $24.50 ea. Hero Chestnut Puree is produced from all natural, freshly peeled, whole chestnuts with just a very little amount of sugar giving it the perfect taste. This chestnut puree is very easy to handle and use directly out of the package. It offers you a smooth texture and balance. Hero Chestnut Puree is to be used for pies, cake fillings, mousses, Mont Blanc with whip cream and ice parfaits. Also, it can be either mixed with creams, chocolate or used directly from the package for vermicelles - a 0% fat dessert! Hungarian-style is pure and indescribably delicious. It is made with a slight touch of vanilla to create an incredible flavor. Serve it out of the jar or use the puree in a variety of recipes. Has a beautiful gift red and white cloth decorative top. Suitable for all kinds of continental pastries or Mont Blanc. 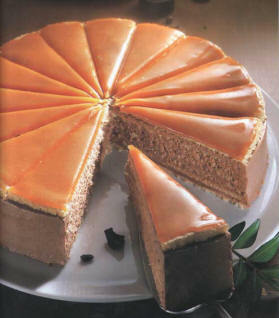 OTTO'S DOBOS TORTA - "Drummer's Cake"
FRESH Hungarian Dobos Torta "Drummer's Cake"
or our at retail store. Our Dobos Tortas are made from the best Hungarian recipes. Otto's Dobos is a crowd favorite! While shipping the cake, the cake may smash the frosting a bit while in transit. all cakes are shipped with Next Day Air shipping to help preserve the cake. * Add $ 5.95 for special packaging with special protective shipping cake box. For Overnight Shipping OR In-Store pick-up. 4 pieces @ $3.99 ea. This is the most popular Hungarian pastry, simply called Krémes or translated as “Creamy”. Delicious! It is a light and fluffy custard style cream with light pastry dough. It is fun and sophisticated! "Full of Fluffiness, the Perfect crunchiness and lasting yummy-ness!!!!" with very special gift box!!! Fruits of Transylvania • Hazelnut • Vanilla (Madártej) • Milk Chocolate • and Truffel Cream. << THIS BOX is our BEST SELLER! Feel free to mix and match boxes! Made in Germany. Open each window and receive a small piece of delicious chocolate. 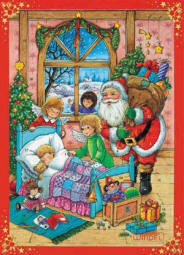 Lent calendars count the number of days until Christmas. Any deNOmination available over $ 50. Order a gift box and we'll put together some of our best products. Choose any gift certificate or gift box defNOmination over $50. All gift certificates or gift boxes come with a FREE Color Catalog. NO shipping charges apply to Gift Certificates. Shipping charges apply for Gift Boxes. We can enclose a special NOte or message at NO charge. tell us what they like and we'll put it together for you. Otto's can do the assembling and shipping for you!